…when they have a kiddie pool? Good thing the Hurricane loves the darn thing, because this gardener isn’t quite so sure. 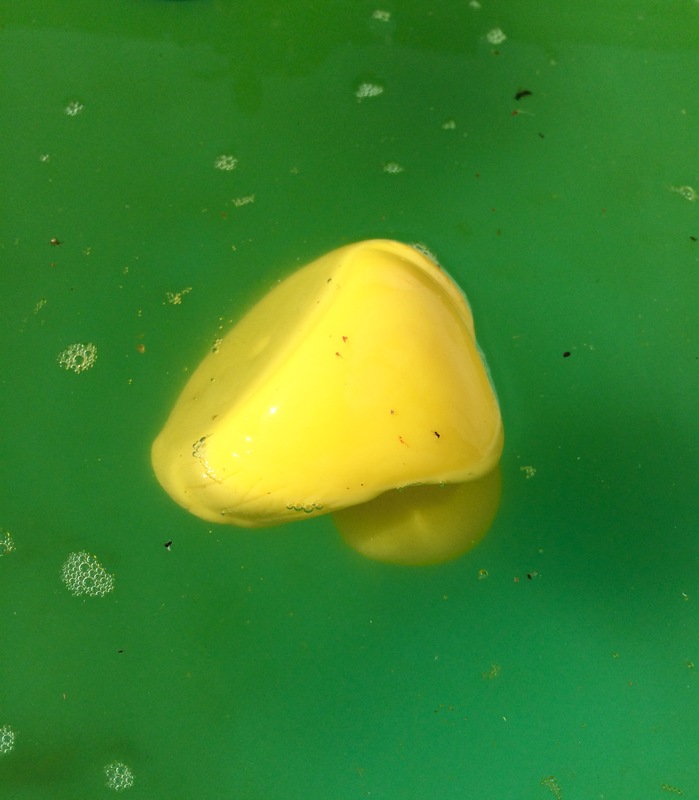 After seven days of hot and heavy pool use, poor Rubber Duckie, and her water, called it quits. About a 100 pails later, the ever-growing garden is well-watered with rich algae juice — and there’s still about 50 pails to go. Not to mention a date with with a pail, scrub brush, and bleach solution. Whose brilliant idea was this pool? Nana’s. Whose brilliant idea was buying the biggest kiddie pool possible? Um, yeah. Not Nana. That said, the amazing contractor who has insulated the attic and who will soon install a new Energy Star roof, dropped off a nice big barrel full of possibilities. 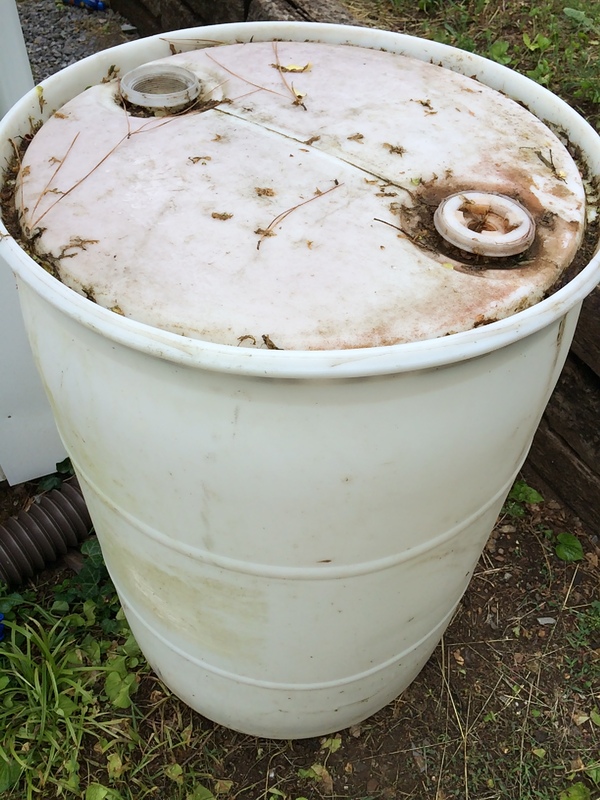 Stay tuned for DIY rain barrel instructions. And perhaps a water pump will make it onto the shopping list. So here’s the thing: notes are great, but they inevitably find themselves lost, just when you need them most. One of the last times POD attempted to grow beans, they wound up yellow, brown, and blighted. The yield: one measly handful, not even enough to anchor the amazing pesto/pasta/potato summer weeknight mainstay. This year, hopes are high and POD’s going all-in on beans. 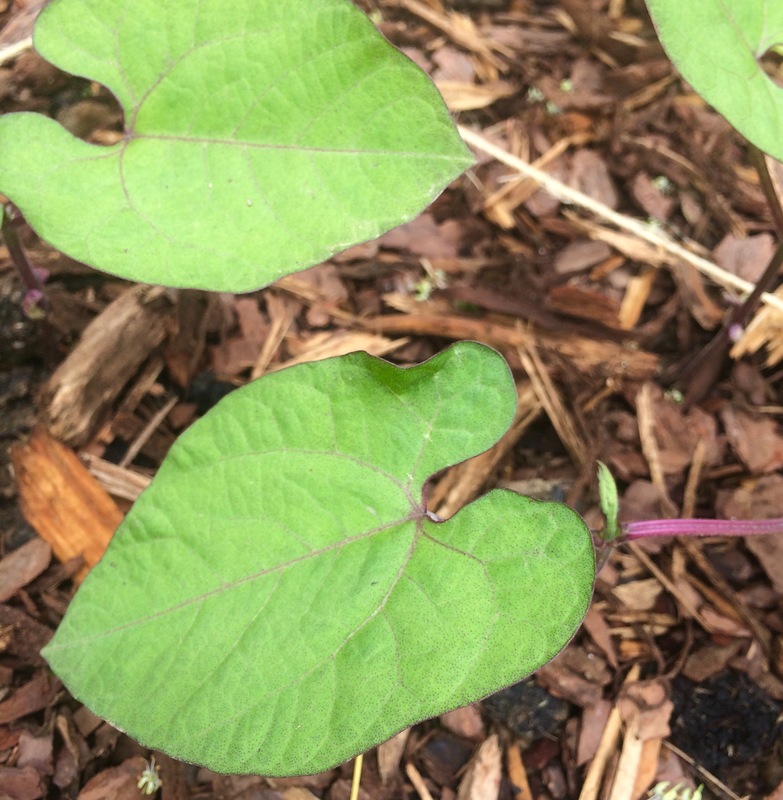 The first batch of purple bush beans were planted on May 9 and have germinated and been thinned to six plants to the square foot. 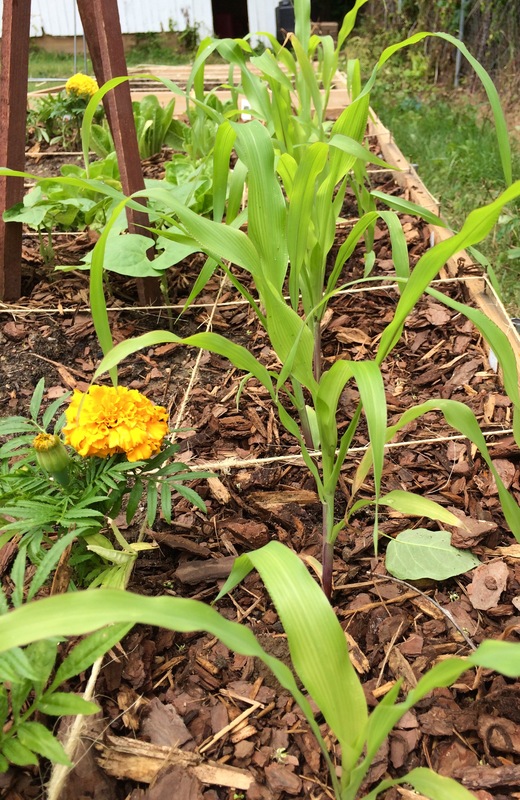 To ensure a staggered harvest, the next installment of seeds are scheduled to hit the dirt tomorrow and again on May 29. 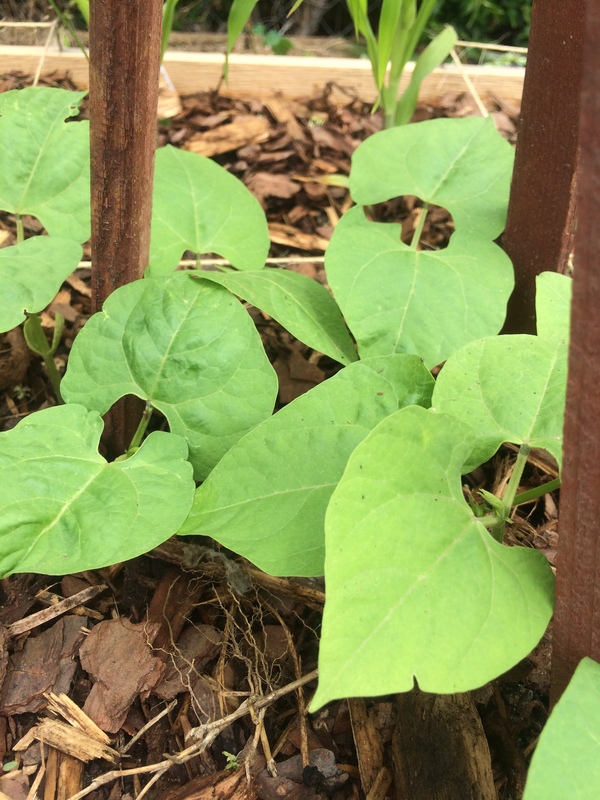 The Kentucky Wonder pole beans have been thinned to 9 per square foot and, come May 29, the remaining dedicated space will be home to 5 per square foot. There’s simply nothing as pleasurable as watching corn grow. Last year this desperate container gardener fell for the dwarf corn nonsense, which so didn’t work, but was enjoyable to watch, nonetheless. This year, we’re going for the real deal. After today’s slightly belated thinning (POD’s Silver Queen are already about a foot tall), 12 plants occupy four square feet. 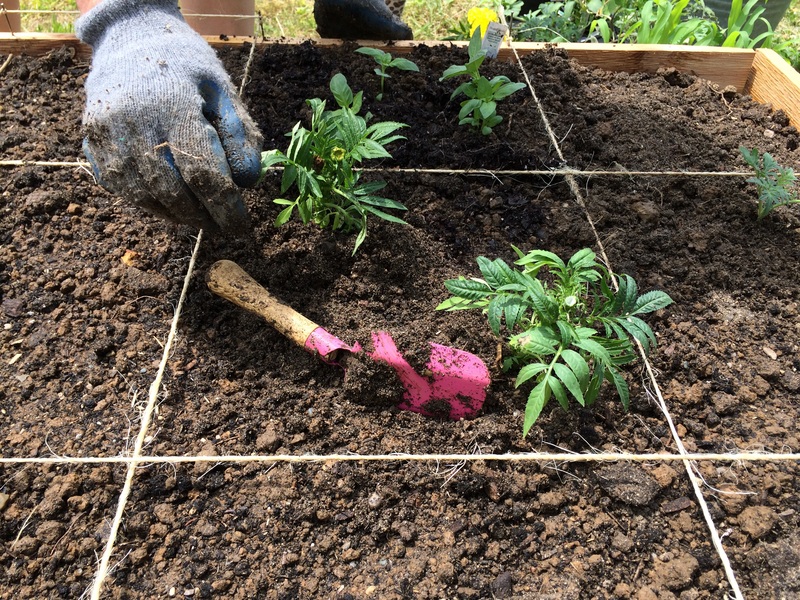 This year they’re all planted in a nice soldier row, but in the future, consider planting two rows of two or three to encourage pollination. Let the second-guessing begin. The good folks at Gardens of Babylon were kind enough to deliver a couple of yards a dirt, shovel them directly into the completed bed, remove a hunk of concrete from the yard, offer gardening advice, recommend local businesses, and donate a few abandoned cucumber, corn, pepper, and dill starts to the cause. After 10 years of gardening, POD finally has a garden center crush. How to use this new-found space and garden center bounty was another challenge altogether. Having spent the icy winter locked in an apartment in West Nashville, you’d think that hours of methodical research and careful planning would have already been conducted. But no. There were houses to sell and buy, boxes to unpack and pack again, a Hurricane to tend to, a whole new city to navigate, unhappy cats to wrangle, and massive amounts of fretting to be done. 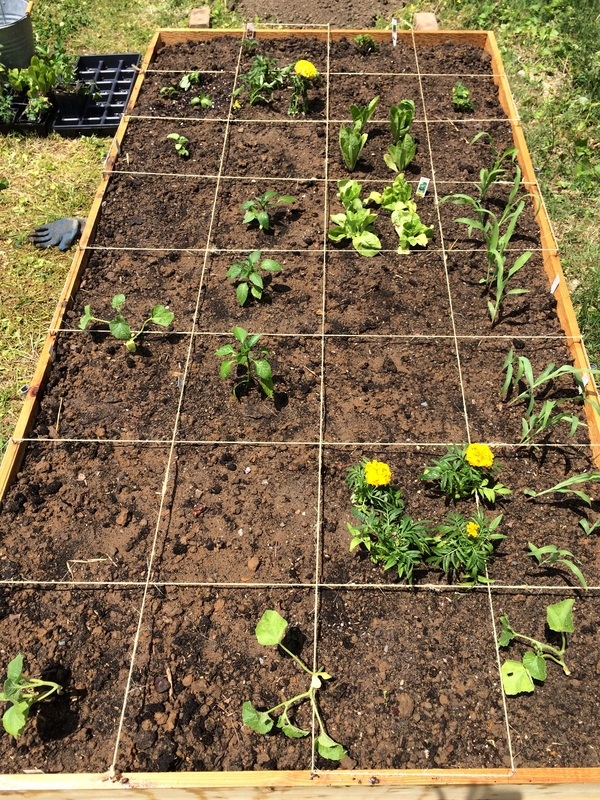 Although it’s embarrassing and utterly unlike most posts on this blog, a quick Google image search for “square foot garden” is about all the research that went into this one. 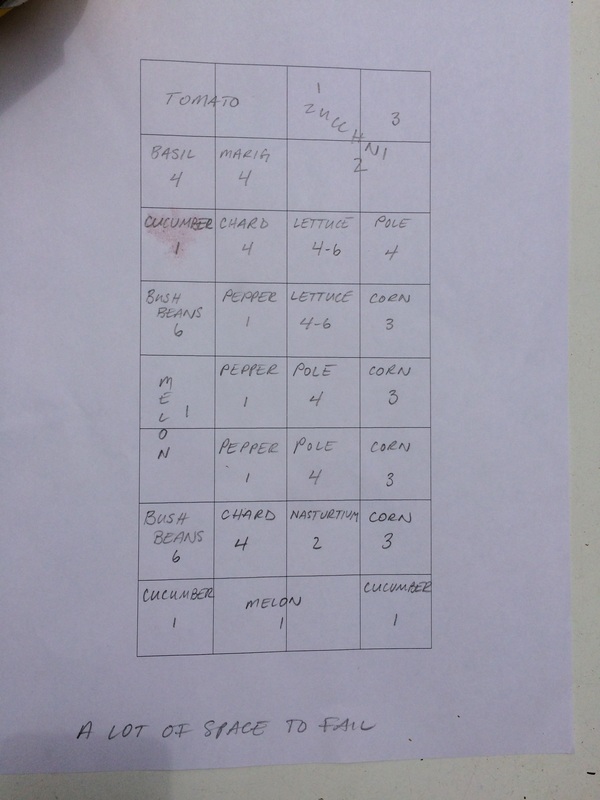 Reports seem to vary on the amount of space needed per plant per square foot — and the most useful graphic from Territoral Seeds seems a little tight — so POD attempted to play it both safe (allowing two square feet for the tomato and a full square foot per cucumber, for example) and try to cram as much as possible into the inaugural bed. Planted in Lockeland Springs, East Nashville, Saturday, May 9. The only containers may be full of geraniums this year, but that does’t mean POD has been taking it easy. We’re yanking weeks, tossing grubs to the birds, scything the lawn, sweating, and working on almighty red necks and farmers tans. 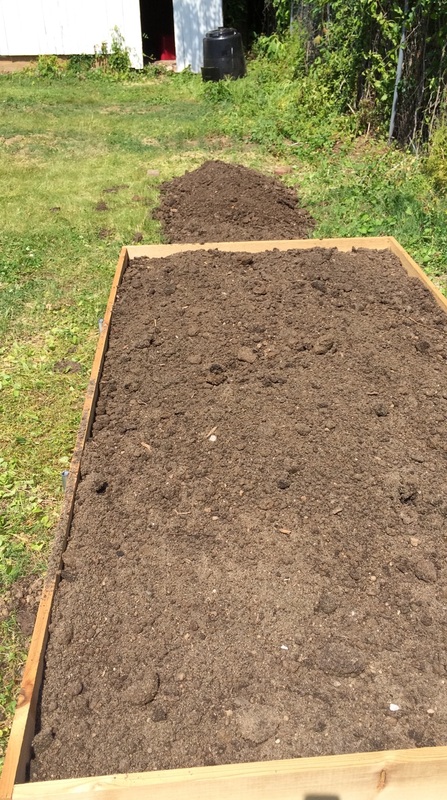 Happily, the Endurer was kind enough to wrap up a marathon moving weekend by hacking together the first of many raised beds. 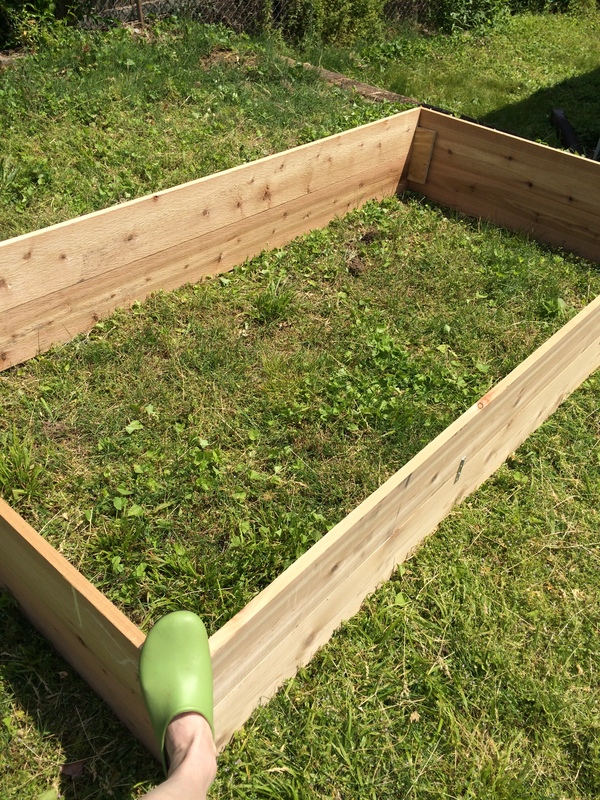 In the end, POD’s two-bed shopping list looked like this: 12 1x8x8 cedar (no chemical treatments and, we hope, fairly weather-resistant) boards, 8 5′ rods of electrical conduit (inexpensive supports for the 8′ sides), 16 2″corner brackets, and two cubic yards of dirt. Although the wallet was about $400 lighter, one hopes that unlike container gardening of yore, this will be a investment that pays off in no time. All of this set the stage for this gardener to enjoy her Mother’s Day weekend by doing a little digging. Which ended up being a lot of digging, but that’s another story for another time. Thanks to Metro Nashville’s awesome recycling program, POD is the proud owner of an 80-gallon Good Earth compost bin. Is it completely ridiculous that the compost was in place before the boxes had been unpacked? Is it completely insane that a backyard compost machine makes this gardener just as happy as the ridiculously expensive washer and dryer? And with any luck, Gardens of Babylon will dump a cubic yard of dirt in the yard Friday. We’re starting small this summer, with one 4×8 bed, but as you can see, there are big plans for the future. Can’t think of a better way to spend Mother’s Day weekend. After a week of ferrying boxes (and an ever-growing little Hurricane) back and forth from West Nashville to East, buying everything, hanging curtains, pulling weeds, wiring appliances (thanks, Mom and Dad! ), fretting over low water pressure and non-existent insulation, this gardener realized something pretty major was missing.